We're in a time where electronic music is fusing with the past. Classic styles like soul, funk, hiphop and jazz have given birth to a new landscape of electronic music. Among those producers reformulating the past is one award-winning, keytar-slinging New Zealander named K+Lab who famously breathes life into a 90s funk-influenced style of hiphop called 'G-Funk'. 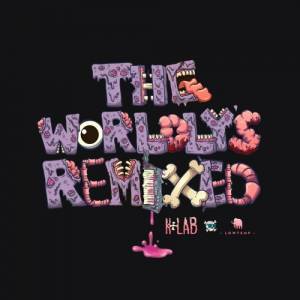 In his 2016 release The Worldly's, tracks like "Mothership Re-Entry" and "Pull Up" showed us K+Lab's signature style of G-Funk from outerspace. After a successful 2017, relocating to Canada and releasing the action-packed Wiggy EP, K+Lab is back with The Worldy's Remixed. This album boasts a worldly line-up from the likes of Dutch blues guitarist Beat Fatigue to American beatmaker Late Night Radio to Canadian funky counterpart Stickybuds. It's far from the first time Stickybuds and K+Lab have fused their funky forms, as their collaboration "Clap Ya Hands Now" made the trailer of 2017 feature film Spiderman: Homecoming and Beatport's #1 glitch-hop track shortly after its release. This time around, the native of bass-crazed British Columbia Stickybuds takes the wheel on his remix of "Pull Up". He cooks up a recipe of sweeping nu-disco beats with a dash of ghetto funk glitch topped off by a set of bluesy guitar licks. Catch this remix on The Worldly's Remixed out now on Gramatik's label Lowtemp Music!